In the Tudor period nobody talked of, or wrote of, craters on the Moon. 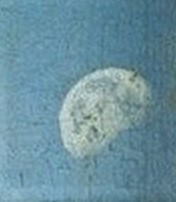 Leonardo DaVinci mentions only spots (macchie) but his drawing of the first quarter Moon from 1511 does not show any spots. 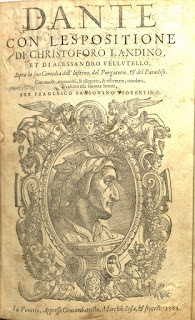 However, even more interesting is Dante's Divine Comedy. Dante's long poem about Heaven, Hell and Purgatory includes some very interesting science. In the Paradise Section 2, verses 46 to 105 Dante's guide Beatrice explains to him the reason for the dark non reflective patches that are clearly visible on the Moon to an observer on Earth. Ottavio Fabrizio Mossotti an Italian physicist who lived between 1791-1863 and who is known for the Clausius–Mossotti equation wrote, “It seems to me that Dante, by the experiment of the three mirrors, wanted to point out the principle that flat surfaces, which emit or are illuminated in equal degree, appear to have the same brightness at any distance they are placed. This happens because the size of their image and the amount of light that receives the eye from each point are both decreasing as the inverse of the square of the distance. Therefore, there is a compensation, and each element of equal apparent extension of the image is always represented by the same amount of light reaching the eye at any distance you observe the surface. ... (The light source must be supposed to be at a large distance, comparatively to that at which the mirrors are between them). ... The theoretical principle of Dante is right, and for that time had to be a sublime truth and not common knowledge”. So Mossotti’s brightness is defined by the ratio of the light reaching the eye to the apparent size of the object. These both diminish with the square of the distance, so the apparent brightness remains constant. Therefore the bright and dark patches on the Moon's surface can be explained by simple optics. Later in the Divine Comedy Dante shows that he understands the law of reflection in Purgatory Section 25 Verses 1 to 36. Purgatorio Canto XV:1-36 The Angel of Fraternal Love "Just as when a ray of light bounces from the water’s surface towards the opposite direction, ascending at an equal angle to that at which it falls, and travelling as far from the perpendicular line of a falling stone, in an equal distance, as science and experiment show, so I seemed struck by reflected light, in front of me, from which my eyes were quick to hide". Dante is informing us that the incident and reflected light beams are at equal angles to the purpendicular as defined from the falling of a stone “dal cader della pietra”. This is the law of reflection which was studied by Euclid and Ptolemy but only defined mathematically much later by Ibn Sahl in 984 CE. Unfortunately Dante's Divine Comedy was little read in the renaissance and its importance was only rediscovered in the 19th century by William Blake. So it is certain that the Tudors were aware of the presence of light and dark spots on the Moon. The Tudors thought that the Moon was either made of the fifth element Quintessence, or was Earth-like with seas and islands. William Gilbert in 1600 thought that the dark areas on the Moon were islands and the lighter areas were water. The Tudors saw an images of an old man carrying sticks, a thorn bush and a dog in the Moon. German and Danish folklore gives us accounts that the man in the Moon was either caught stealing cabbages, or collecting firewood on the Sabbath and so was exiled to the Moon as punishment, there was also a belief that if a pregnant woman stared at the Moon for too long her unborn child would be born mad. William Gilbert in his book “De Mundo Nostro Sublunari Philosophia Nova” commented that it was a shame no images of the Moon have come down to us through antiquity. Centuries later Dan Brown in “The Lost Symbol” writes that “if you want to hide something put it in plain sight”. Perhaps because the Moon was always in plain sight no one bothered to draw the surface features. We know that Harriot took a Digges-Bourne telescope with him to Virginia. We also know that he was a keen scientist and collector of scientific instruments. He surely must have looked at the Moon through his telescope at some point during his voyage. My guess is that if he had announced that he could see walled cavities on the lunar surface he would have been ridiculed for being driven mad from prolonged observation of the Moon, or at the least his findings would have been dismissed as being a result of poor optics. However, there is substantive written evidence that Tudor astronomers did look at the night sky through primitive telescopes well before Galileo and this evidence is indeed hidden in plain sight in the plays of William Shakespeare.